Join me in my shame, everyone. So yesterday was payday, and I needed to pop over to Waterstones to pick up my book club’s next book. I headed over with my friend and after much perusing and book chat, I grabbed my book (plus one more). Then we parted ways, and I walked into Blackwell’s. I’m sure you can imagine how this went. Book club, book club!! This is the next book we’re reading in the lovely fantasy book club I’m in. I’ve read Mistborn in the past — I’ve read the original trilogy and The Alloy of Law — but it has been several years and I’m so excited to dive back into this amazing world. Sanderson is one of my favorite authors. He creates incredible magic systems, his world building is second to none, and he’s a fast writer. Scottish Fiance and I started our weekly tradition of ‘Bad Movie Wednesday’ with the film version of Starship Troopers, and what a mistake that was. Why? The movie is absolutely amazing (barring the fact that Juan Rico of Buenos Aries becomes Johnny Rico, the whitest white boy in Buenos Aires), and I desperately wanted to read the book. I’ve had my eye out for awhile, but couldn’t find it until now. Hooray! The book that the incredibly popular Witcher games are based on, I’ve heard nothing but good things about The Last Wish. It’s so unusual to see science fiction and fantasy in translation, and I’ve been wanting to give this a shot. I’ve never played the Witcher games, but I have a feeling I’ll need to when I finish this. I’ve been seeing this book in bookshops for years — years! I got it from the New York Public Library way back when, but never got around to actually reading it. I keep picking up Library of Souls because of its spooky title and being annoyed that it’s the third in the series. So here I am, reading Miss Peregrine for the first time! I feel like the only person on the planet who hasn’t read it yet. After reading Six of Crows and Crooked Kingdom, Leigh Bardugo has become an auto-buy author. I’ve been holding off on reading Shadow and Bone, the first in the Grisha trilogy, because I know I’ll immediately need to run out and buy books 2 and 3. With the upcoming release of The Language of Thorns, I really need to read these books. I grabbed Siege and Storm when I was out — I’m confident that I’ll love the trilogy so I’m not worried about buying book 2 before I’ve read book 1. I went to the fantastic SFF Now panel at YALC, which was chaired by the lovely Laure Eve. She and the panelists talked about the classic science fiction that influences their writing. You all know I’m a huge fan of Isaac Asimov, so when I went to get my copy of The Graces signed, I asked her what classic sci-fi she’d recommend. Rendezvous with Rama was high on her list! I’ve been searching for it ever since and managed to find it yesterday. I’ve had such a serious hankering for some classic science fiction, and this is going to be one of the next books I read. I should never go into a bookshop unsupervised, but whatever. Have you read any of these? 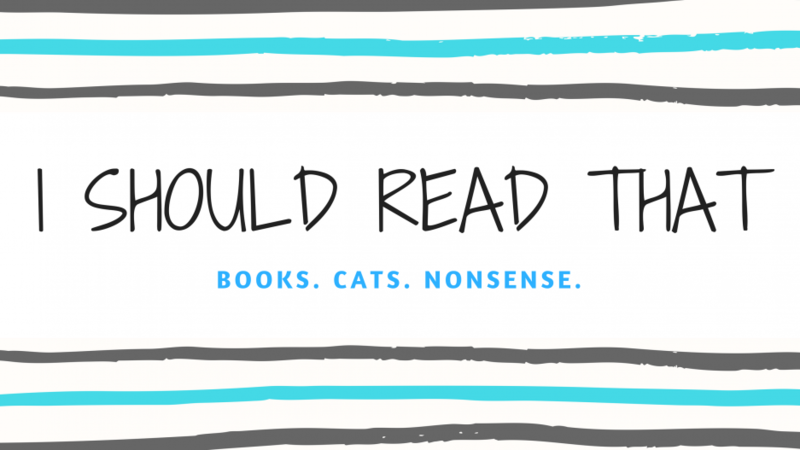 Are any on your TBR? Do you need adult supervision when you go into a bookshop? Let me know! I love your cats ❤ Looking forward to see what you think of Rendezvous with Rama, I haven't seen many reviews on it.